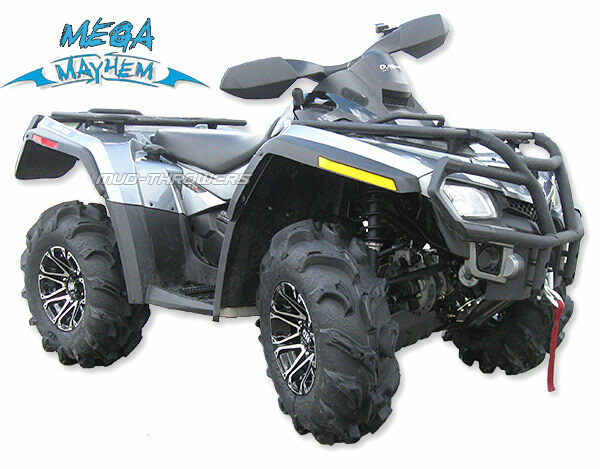 The family of Mayhem atv tires features a unique, deep-lug tread design that mocks the nastiest mud holes. Exceptional acceleration and braking characteristic as well as balanced cornering qualities make the Mayhem a capable, confident all-around performer. With its extended wear rubber compound and durable 6-ply rating, they take a beating and come back for more! Exceptional acceleration and braking characteristics! 4. All ITP Ss Wheels feature a lifteime structural warranty.